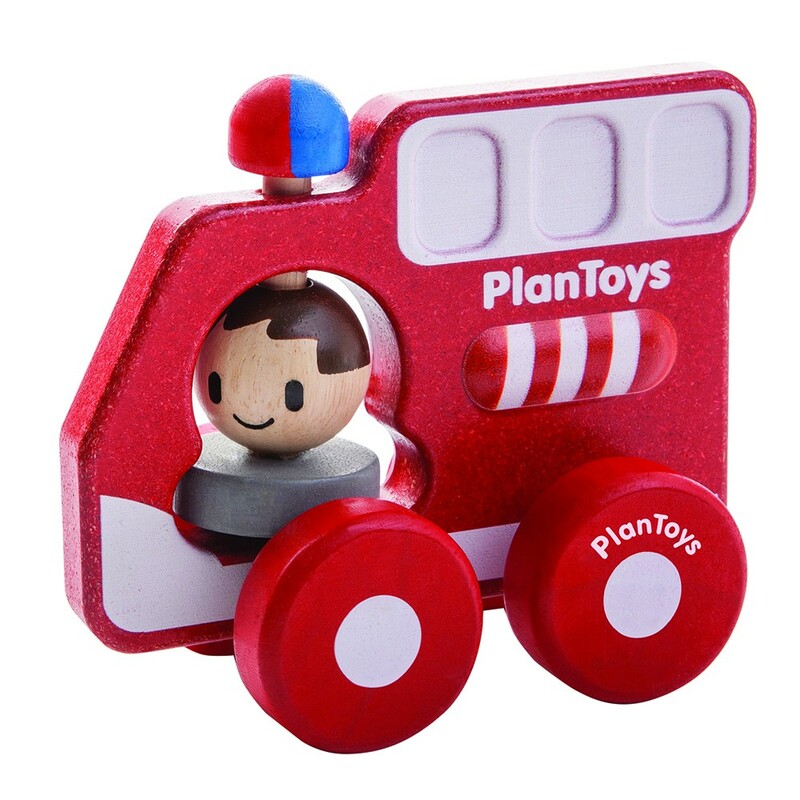 Made so it's easy for babies hands to grab onto, the Plan Toys Fire Truck is bright red, with bulky wheels and rotating drivers head. 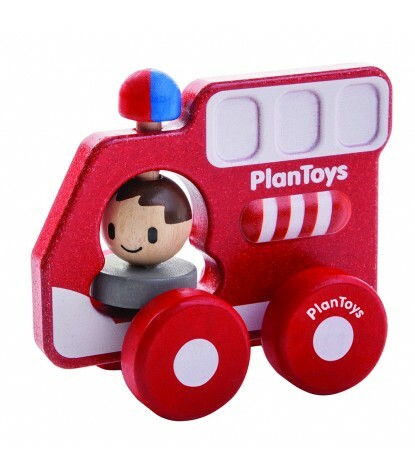 Babies will have lots to feel and explore with this fun little emergency vehicle. Dyed with all natural, non-toxic Soy dyes. Encourages Cause & Effect, Imagination & Fine Motor Skills. Dimensions: 2.6 x 4.9 x 4.1 in.